NEW YORK (AP) — As "Comedians in Cars Getting Coffee" cruises into its tenth season, Jerry Seinfeld realizes that with great success also comes the potential for lawsuits. He experienced it with the "Seinfeld" television series, his animated turn in "Bee Movie," and now with his latest show. MERRILLVILLE, Ind. (AP) — Demolition has begun on a 3,400-seat theater in northwestern Indiana that has hosted Bob Dylan, Jerry Seinfeld, Chris Rock and other entertainers over nearly four decades. A 'Seinfeld' reunion is in the works now that Julia Louis-Dreyfus is recovering from having breast cancer. The 57-year-old actress revealed last September that she had been diagnosed with the disease but after completing a course of chemotherapy in January she underwent successful surgery in February and is winning her battle with the illness. Jerry Seinfeld didn't rule out reviving the comedian's eponymous sitcom when asked during an interview by fellow comic-turned-television star Ellen DeGeneres. Mr. Seinfeld, 63, briefly discussed potentially rebooting his successful '90s series when grilled during Tuesday's episode of "The Ellen DeGeneres Show" on NBC. Ladies and gentlemen, please welcome the host of the Laugh Track column, a man who is going for gold in men's downhill human snowball ... Mike McIntyre. Thank you, Cleveland! Chloe Kim won a gold for the USA in the snowboarding halfpipe event. I can't wait to see what Rob Kourtney, Kylie Kendall and Kris Caitlyn do! Colin Quinn’s new stand-up tour kicks into high gear this month as he heads out across the country to rant about all of the people who annoy him — and the surprisingly different ways in which they do it. CLEVELAND, Ohio -- 1990s TV and movie star Paul Reiser is in the midst of a career resurgence. He recently won a lot of new fans as bad guy-turned-good guy Dr. Owens on Netflix's "Stranger Things" and wrapped up three seasons on Amazon's "Red Oaks." There's also talk of reviving his iconic NBC sitcom "Mad About You" with Helen Hunt. With the Christmas card season over, there’s little reason to care about opening the mail. Envelopes filled with cash are rare, no one writes letters anymore and, as Jerry Seinfeld said, “Without bills, magazines and junk mail, there is no mail.” In particular, one large envelope has been lying on my kitchen table untouched for months, even though I specifically requested the paperwork inside. NBC’s Emmy-winning comedy, “Seinfeld,” ended its nine-season run in 1998, but comedian Jerry Seinfeld, who plays a fictional version of himself in the show, is still getting plenty of laughs. Comedian Jerry Seinfeld brings his classic stand-up routine to the F.M. Kirby Center for the Performing Arts at 7 p.m. Friday, April 6. The Brooklyn-born comic, best known for playing himself in the ‘90s sitcom “Seinfeld,” returns to downtown Wilkes-Barre after his last appearance at the theater in 2015. This will be Seinfeld’s sixth time sharing his observational humor on the Kirby’s stage. Gad Elmaleh, known as the Jerry Seinfeld of France, was all set to try New Haven pizza, and joke about such everyday American fare, in a visit to the College Street Music Hall in February. But a snowstorm in Connecticut canceled his show in the city. Fast forward to Wednesday, when the observational comic is slated again at the College Street theater. We asked him if he’s doing a lot of social media or other media to spread his name in America. George Lopez shook off the 103-degree heat to wave a huge Dodger flag from on top of the home team's dugout. Fellow comedian Jerry Seinfeld was there to watch, as was Lady Gaga. Dodger royalty was well represented by a pair of nonagenarians in Tommy Lasorda and Don Newcombe, and one soon to be in Vin Scully. Jackie Robinson's widow, Rachel, threw out the ceremonial first pitch. When it comes to comedy clubs, The Improv has defined quality and talent for decades. 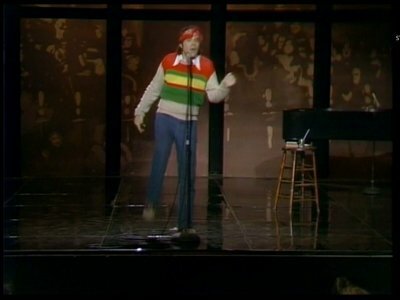 During the cable boom of the 1980s, "Evening at The Improv" was a portal into the world of stand-up comedy for many of us still too young to see comics live. That show was also the first time most of the world outside Los Angeles met Budd Friedman, the man behind the magic. Comedian Jerry Seinfeld will perform his stand-up routine at 7 p.m. Feb. 8 the Wagner Noël Performing Arts Center, 1310 N. Farm to Market Road 1788 in Midland. Seinfeld has been hailed for his ability to joke about the little things in life that relate to audiences everywhere. Tickets go on sale at 10 a.m. Oct. 27 and will be available at the venue box office, at wagnernoel.com or ETIX 1-800-514-3849. FITCHBURG -- Actor Stephen Baldwin and Max Keiser of "The Keiser Report" stopped in Fitchburg on Tuesday during the last leg of a road trip across America. They are co-hosts of an upcoming television show, "The GAP: Great American Pilgrimage," which will chronicle the journey over 16 episodes. Executive Producer John McGalliard said the show will premier in November on RT, an international English-language television network funded by the Russian government. Mr. Berman died Friday at his home in Bell Canyon, Calif., from complications from Alzheimer’s disease, according to spokesman Glenn Schwartz. 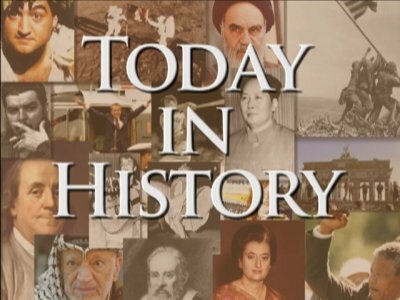 NEW YORK (AP) — Comedian Shelley Berman, who won gold records and appeared on top television shows in the 1950s and 1960s delivering wry monologues about the annoyances of everyday life, has died. He was 92. HOUSTON (AP) — Kevin Hart has made a sizable donation to flood relief efforts in Houston, and he wants some of his famous friends to do the same. The comedian announced a $25,000 donation to the American Red Cross for victims of Hurricane Harvey. In an Instagram video posted Sunday, Hart said he was starting a celebrity challenge to donate money to the cause. Beyonce, Jay Z, Justin Timberlake, Dwayne "The Rock" Johnson and Jerry Seinfeld are among the stars he called on to make their own pledge. Jerry Seinfeld has been named the highest-paid comedian in the world. The 63-year-old comic dropped to second place on Forbes' annual rankings last year, but regained the top-spot with earnings of a staggering $69 million, largely thanks to a deal with Netflix for two $20 million comedy specials - one of which he has been paid for to date - something which second-placed Chris Rock also negotiated, helping him to make $57 million in the last year. NEW YORK (AP) — Forbes has crowned Jerry Seinfeld as the king of the club when it comes to the highest-paid, stand-up comedians. Six months after Sugar Land debuted its long-awaited entertainment venue, the Smart Financial Centre, the city and area business are reporting an uptick in economic activity. Kesha felt like she was "five years old" when she was denied a hug by Jerry Seinfeld. The 30-year-old singer was beyond embarrassed when a clip of her attempting to hug the 'Seinfeld' star went viral last month, and now said she "should have known better" than to approach the comedian, as she's seen the episode of his sitcom in which he becomes uncomfortable about being embraced. MERRILLVILLE, Ind. (AP) — The owners of a 3,400-seat theater in northwestern Indiana that's featured Bob Dylan, Jerry Seinfeld and Chris Rock say they'll demolish the longtime venue after all. White Lodging announced last August that it would tear down the Star Plaza Theatre in Merrillville, only to drop those plans in November following a public outcry. But the company now says the theater will be leveled after a final December show featuring the Oak Ridge Boys. NEW YORK (AP) — Jerry Seinfeld has explained that he won't hug "a total stranger," days after he denied pop singer Kesha a hug in an exchange that was caught on camera and went viral. WASHINGTON (AP) — Jerry Seinfeld is not a hugger and he let Kesha know it before a star-studded charity event in Washington earlier this week. On June 2 and 3, thousands of Fort Bend ISD high school graduates will walk across the same stage that has hosted Jerry Seinfeld and Sting. Sugar Land's new $84 million, 200,000-square-foot entertainment arena, the Smart Financial Centre, which opened in January, will host 11 high school graduations this weekend. Fort Bend ISD has previously held graduations at the Toyota Center in Houston and was subject to the National Basketball Association's schedule, according to the district's website. NEW YORK (AP) — Judd Apatow likes nothing more than topping his own joke. The filmmaker is putting together a sequel to his best-selling "Sick in the Head," which featured conversations with Mel Brooks, Jerry Seinfeld and other comedians. The new book could only be called "Sicker in the Head." It includes Norman Lear, Kevin Hart and Whitney Cummings. Random House, which announced the book Wednesday, said no release date has been set. MERRILLVILLE, Ind. (AP) — Demolition is about to start at a prominent northwestern Indiana hotel months after its owner dropped plans to also tear down the neighboring Star Plaza Theatre. White Lodging says demolition work should begin Friday inside the 330-room Radisson at Star Plaza hotel in Merrillville. 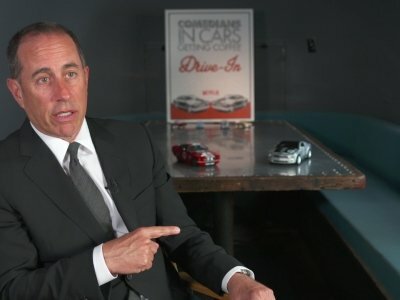 LOS ANGELES (AP) — Jerry Seinfeld and Netflix have announced a deal that will bring the star's interview show "Comedians in Cars Getting Coffee" to the streaming service later this year.